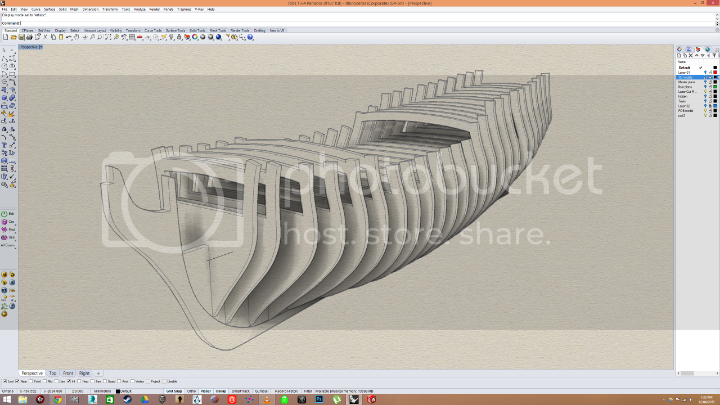 This will be my first ever model and I've chosen the HMS Pandora because of it's rich history and beautiful shape. It was a close call between this and snow class Ontario. However, as a first build I wanted some more plans which the Pandora had (and a very good book on it). I'm hoping that this work in progress thread will keep me motivated and I will have plenty of questions. My progress so far has mostly been on the computer. I've just drawn up the plans on CAD and begun lofting them to check that it would work assembled virtually before I take it to the laser cutter. 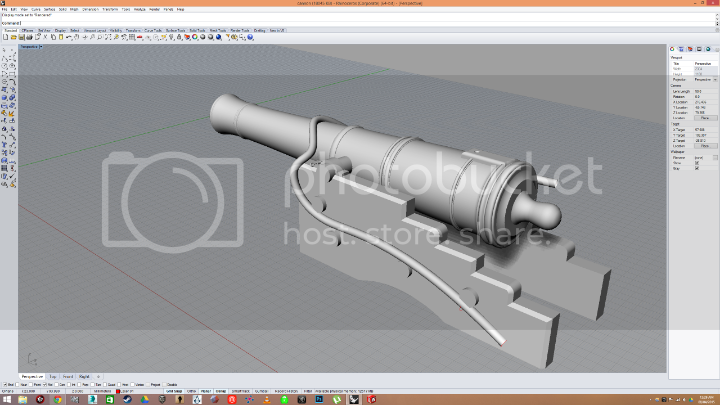 The small details like cannons, capstan etc will be 3D printed on the Form1+ machine, so I'm hoping to get most of the modelling done early on. The details on the captains cabin I would like to take a bronze or iron powder cast of, but we'll see what time allows. Talking of questions earlier, I was having a search for a diagram with all the items that appear on the deck of a ship. I couldn't find much, does anyone have a good plan? 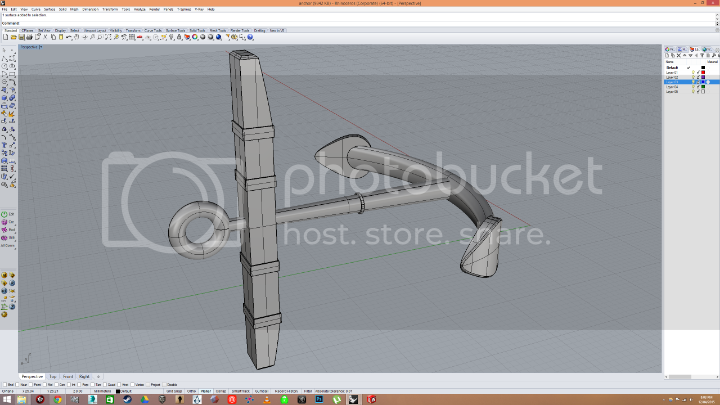 Thereafter once I have all the names of the pieces I can get them prepped for printing. It seems you are off to a good start. While there are many of us that are not good with computers, there are a few that are. That being said, any computer and/or run of the mill wood working questions will be answered. I hope to see saw dust flying soon on this marvelous model. Thanks Ray. I'll try and post my updates weekly. Got a hold of the laser cutter today and got the ribs done. I've yet to do the keel that will be visible, and I need to source some nice wood for it. I'll begin to add some blocks in between the ribs as it needs some strengthening . It has a sort of fish like motion wobble to it. It needs a lot of sanding to get those chared edges. I was wondering do you usually sand the edges of the ribs so that you get a nice sweeping motion - or do you leave them as they are flat edged? 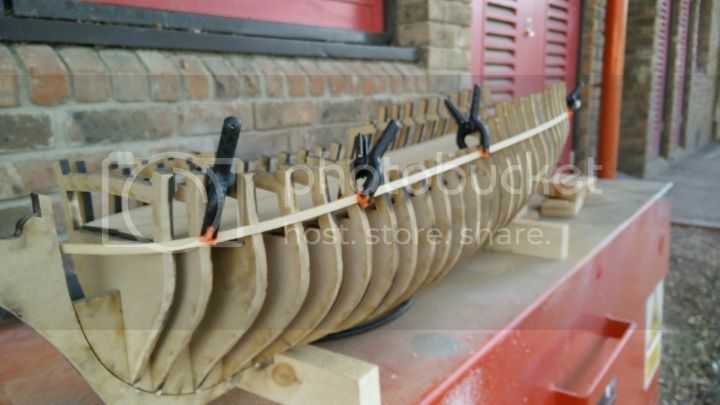 You need to sand the edges of the ribs so your planks will lay flat on them and removing the char will improve the bond of the planks when you glue them in place. That's a very professional looking set of bulkheads. If you cut the plywood deck, that will hold your bulkheads square. 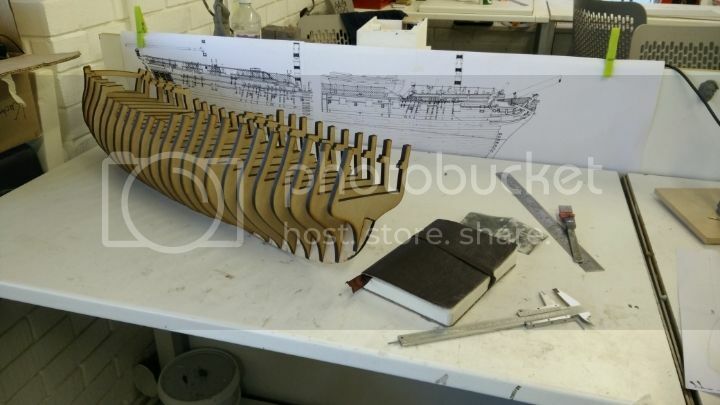 You'll probably have to make the deck in two pieces (port and starboard halves) to be able to get it into position. Yes, the outboard edges of all the bulkheads need to be sanded down to the correct bevel so that each and every plank rests snugly and smoothly against those bulkheads. One way to check if your bevels are properly completed is to take a long strip of thin wood, placing it longitudinally down the edges of the bulkheads, shifting it up and down. If done properly, you will see a nice firm contact between the strip of wood and the bulkheads at every point. I shall get onto that sanding then. Thanks for the tips for checking that edge is beveled perfectly. That's a good idea for the decking aew. I'll get that cut and done tomorrow. I'll have to draw those plans as I haven't done any top elevations yet. I'd used small blocks of pine wood to brace between the ribs to keeps it's shape - however if the deck will keep it in shape I'll just use that method. That's very handy - thank you tele. I'll make a lot of use of them. Some more progress today. I kept the small wood blocks as the deck wasn't enough to keep it very rigid when sanding. I've done the false keel in thicker mdf, however I don't have any nice wood available, so I'll add some veneer to it at a later point. Had the floors laser cut and they need a little more sanding to fit snugly in. Sanded the edges so the planks will lay flat against the ribs as well. Before i glue the main deck in place I suspect I'll have to make some holes to accommodate for the masts and some other details. Before you drill the holes for the masts glue some reinforcing blocks on each side of the centerboard at each mast location. If you drill the holes the same size as the masts you do not have to glue the masts in place. The rigging will secure the masts.